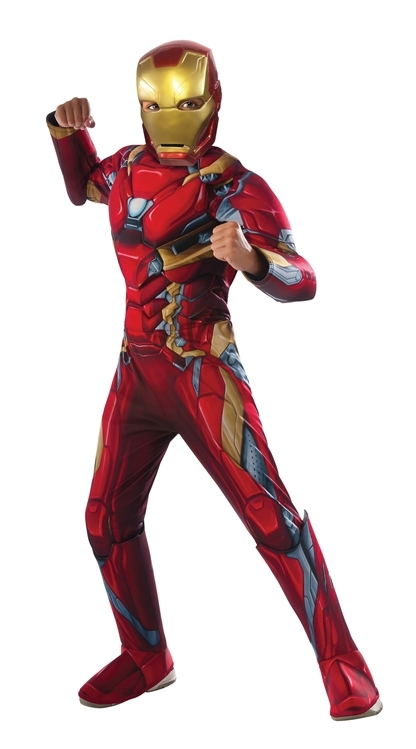 Watch your own young hero suit up this Halloween as one of the Avengers. The Deluxe Kids Iron Man Costume includes padded muscle jumpsuit with attached gauntlets, boot tops, and mask. Available in three child sizes: Small, Medium, and Large.